Store the date a contact first made a purchase with you. 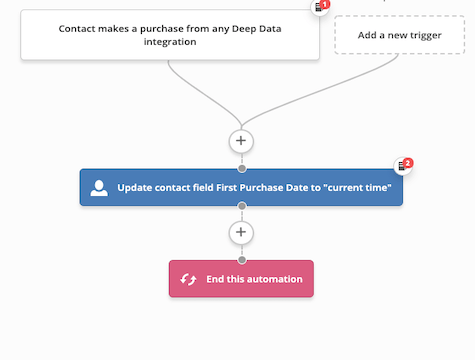 This is useful for triggering other automations based on the date, segmenting contacts, and keeping track of their customer lifetime value. You can set an âAdvancedâ condition on this automationâs trigger so that it only stores the date of a certain product. Build a date-based custom field before importing this recipe.